The Short and the Sweet of It: Hump Day Comes Early! Readers, since this week is a short week, the Short and the Sweet of It has decided to have Hump Day come a little bit early! I hope it makes your Monday a little bit brighter. Melanie from the sweet print shop Spread the Love is offering up a darling print (perfect for those of you who are obsessed with Edward Sharpe and the Magnetic Zeros)...helloooo..who isn't? I would definitely put this up in my kitchen, where would you hang it? 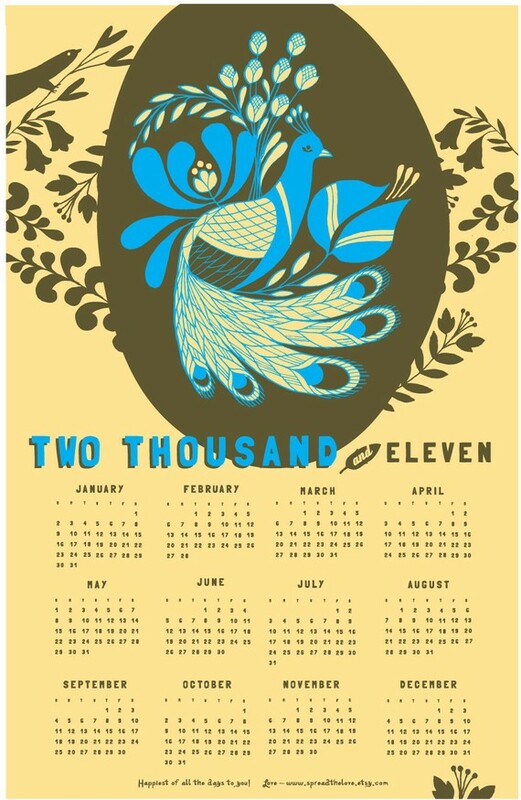 In addition, she's also going to help us get ready for a brand new year by throwing in this adorable 2011 calendar. 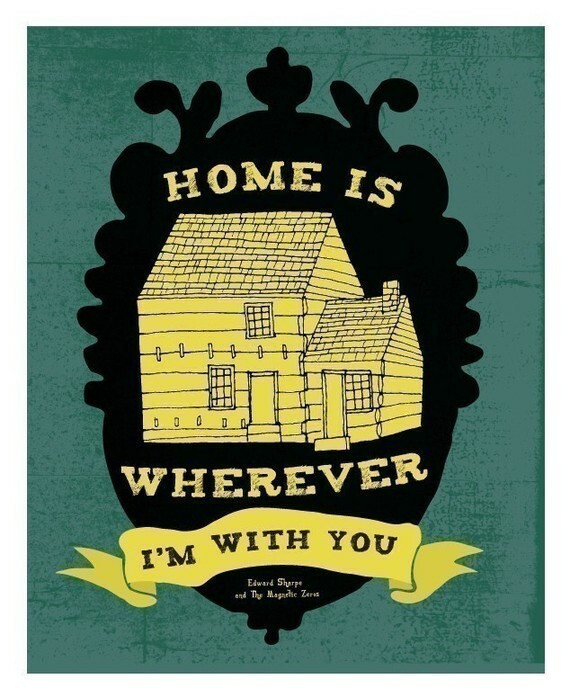 I love the colors and the folksy feel of it. Plus who doesn't love Peacocks? Leave a comment below, make sure to become a follower of the blog and visit Melanie's shop for more of her cool artwork! A winner will be announced this Wednesday at noon. Happy Monday dear readers and happy short week! Its the same color scheme as my house... it would be perfect above my dining room table. 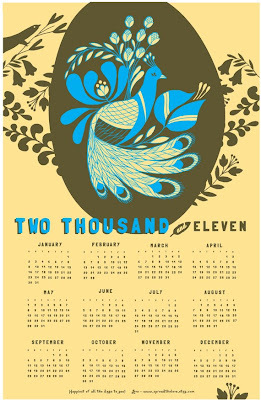 The calendar would be nice to circle all the exciting events for 2011.
so pretty...loved all of her etsy listings! Such a pretty picture, love the words. Great way to start the New Year with a unique calendar! I actually have two of her prints in our house - Melanie is an amazing artist!! Would love to have more of her art in my house!!! Cute print! I would hang it in my bedroom over my bed. so pretty! I am going to a peacock themed wedding in February- that would be such a sweet gift!